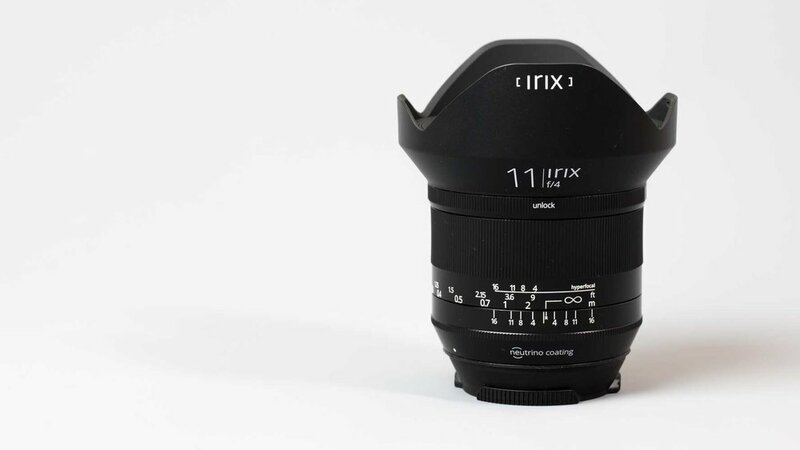 A review of the astonishing new Irix 11mm f/4 ultra wide angle lens. This Irix 11mm wide angle lens that is designed for full frame cameras. The lens comes in a variety of mounts including Canon, Nikon and Pentax. When mounted to a full frame camera the 11mm 126 degree field of view is astonishing and opens up new realms of creativity for landscape, architecture photographers and even some scenes close in. The Irix 11mm f4 lens is not a fish eye. It is rectilinear with minimal distortion thanks to the '4 high refractive lenses, 2 ED lenses and 3 aspherical lenses that guarantee minimal distortion'. Irix claim distortion is as low as 3.13%. If you want a full technical breakdown of the lens there are some excellent channels out there. I am more interested in practical applications of gear and I can say that distortion handling is excellent, particularly across the centre of the image. Horizon lines remain perfectly straight and vertically down the middle as well. 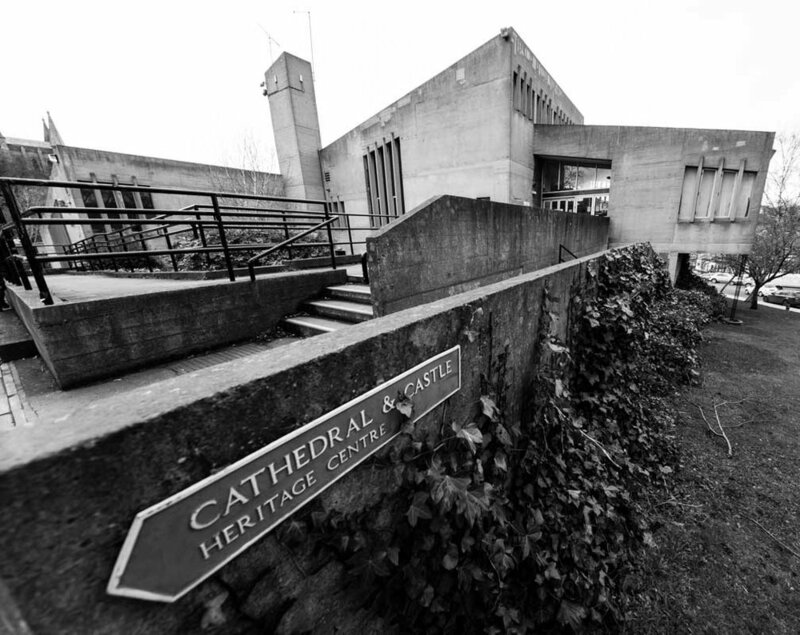 There is some distortion towards the corners of the image but if used correctly this can compliment the image. Its not ideal if you have people in the corners but this is not really a portrait lens. The lens is nice and sharp but does produce a small amount of vignette and also Chromatic abberation. This was within perfectly acceptable boundaries for me and is very easily removed in post processing using Adobe Lightroom. The vignette is also reduced by stopping down a bit. The lens comes in two varieties to suit the style of photography you are doing. The Irix 11mm f/4 Blackstone is the flagship version. There is also a cheaper and lighter version, with the same high quality optics that may be more suited to photographers wanting to travel light. This is called the Irix 11mm f/4 Firefly Lens. The build quality of this Blackstone version is excellent. The metal body is well constructed and feels so solidly built that it could survive some serious punishment. The focus barrel is reassuringly stiff but rotates smoothly and accurately. There is a focus lock to ensure there is no slippage in focus and the engraved markings on the Blackstone glow in the dark. The lens is manual focus. I am sure if you're looking seriously at this lens that will not be a concern for you. The distance markings are there to assist but I did the majority of my focusing using the camera’s zoomed live view function. Quick and easy. The lens is so wide that most things are in focus anyway. The Irix 11mm is weather sealed on all parts apart from the front element. It is splash proof and I used it in the rain without any problems. The lens hood is permanent and protects the bulbous front element. The Firefly is built using high quality plastic to save weight and bring cost down but is still weather sealed the same as the Blackstone. Alternatives from the much more expensive Canon 11-24mm F/4 lens and Nikon 14-24mm f/2.8. I have loved using this lens. It has allowed me to get shots that I otherwise would not have been able to achieve. The wide angle rectilinear perspective gives you a really interesting point of few and opens up new creative possibilities. It is not a lens I would use for every shot but it is relatively unique and having it in your arsenal is a real benefit that will allow you to get shots that other people cannot. 11mm is very wide and captures a large portion of your field of view. The amount of bokeh you get will be limited so it really forces you to think about every single area of your frame and you need to carefully compose your shot. This is a good thing and can result in some really exciting shots. At the point of release.